come, it’s important to define the difference between a fad and a trend. A fad is more of a short-lived craze, whereas a trend has longer staying power, usually a decade or so. and linens. A year or so later, pink was the color du jour, but brown remained dominant- it was the trend- the other colors were just fads. Entering the new decade of 2010, the trend of gray began to emerge. But remember what I said above about trends? They only last around a decade, so if you’ve not jumped on the gray train just yet- hold on to your paint brush. Last fall I traveled to the design mega-center of the world; High Point, North Carolina. 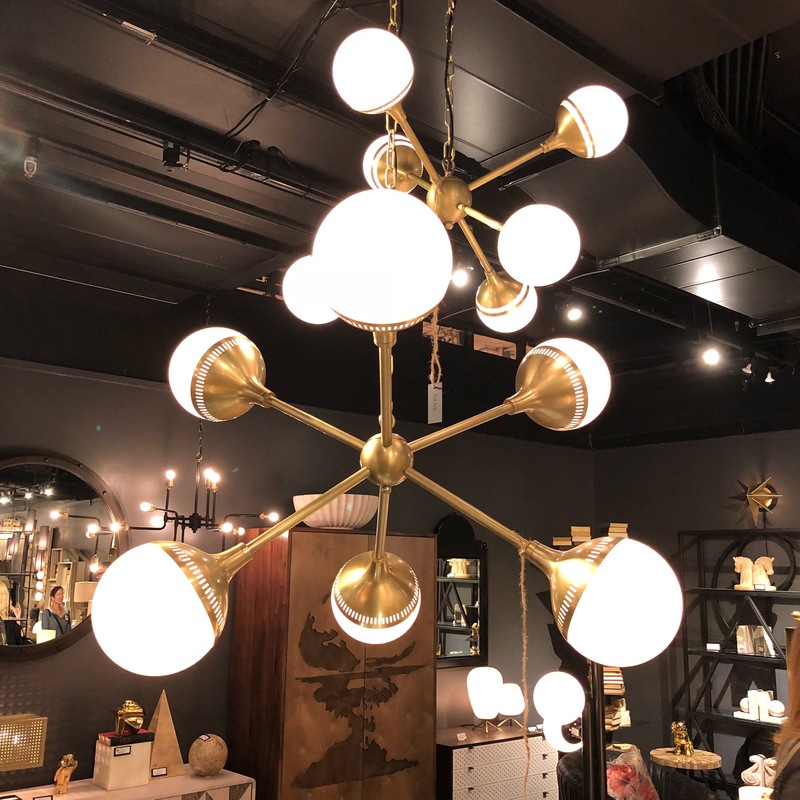 Twice a year, designers, makers, furniture companies and design celebrities descend on this small town to share what’s upand-coming in the industry. It is the place where trends are introduced and companies vie to get the attention of every buyer in attendance. There is SO much in High Point, but here are several recurring themes I saw in the showrooms. Some of these have been around a year or so already, while others were new. Which will become trends and which will be only a fad? Only time will tell. to large lampshades and sleeklined case goods, I felt as if I traveled back to my childhood. Many, if not all the showrooms, were showing natural accessories and those found in nature. Branches and foliage were everywhere, and rocks and geodes were in abundance. 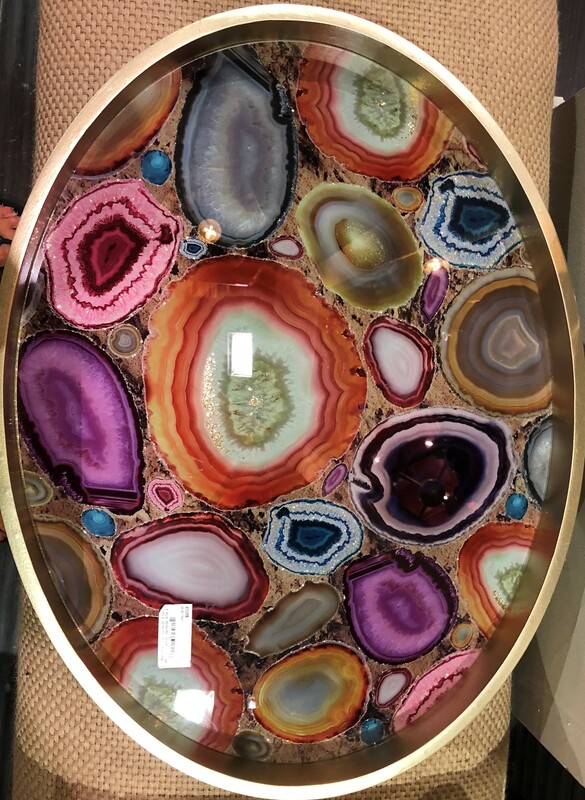 Although I don’t get too trendy, I loved the colors and interest of this coffee table! 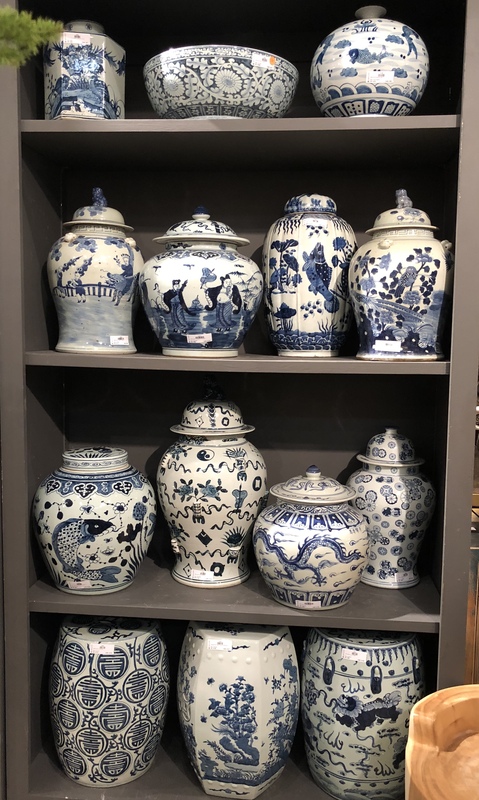 The color combination of blue and white is classic, but we’ve been seen quite a resurgence of its popularity. But with that color combo has come a renewed love of chinoiserie and of campaign style furniture. 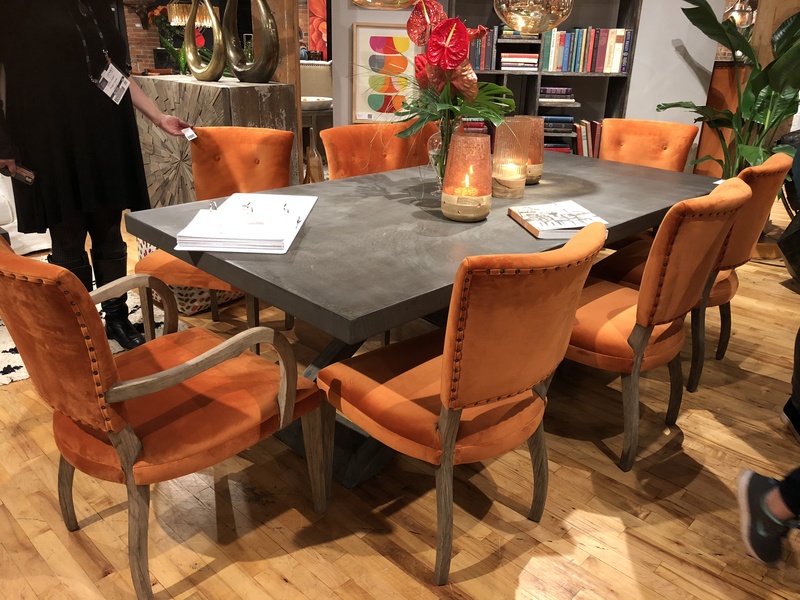 While there were still plenty of showrooms with cool whites and grays, there were many showing warmer neutrals, and warmer colors. Looking forward, I feel we will see the new trending colorways for interiors leaning warmer, and brighter. 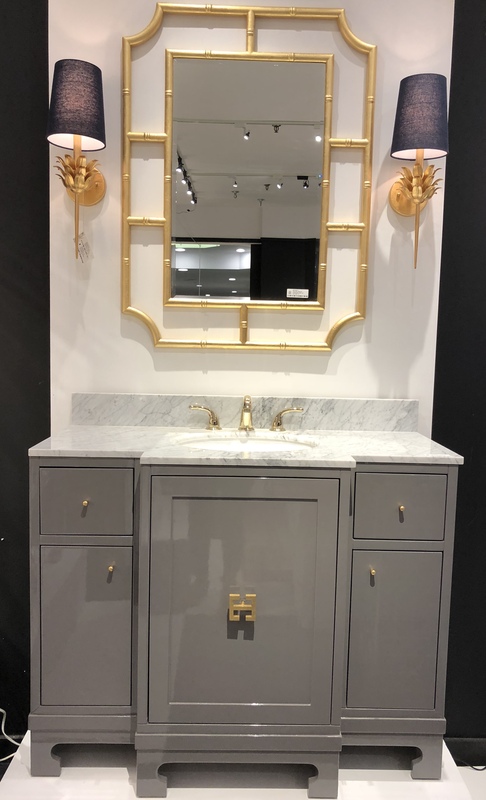 to see what’s trending in kitchen and bath, and get the first look at all the new products coming to market! Run, run, run as fast as you can. This is the mantra of our days, and for most of us, it doesn’t stop when the sun goes down. Whether it’s jobs around the house, carpooling children from here to there or any myriad of other things, many of us don’t end our days until the wee hours of the evening. This leaves very little time for sleep — something necessary for everyone. Per the National Sleep Foundation, adults between the ages of 25-64 need seven to nine hours of sleep a night to function properly. Sleep is critical for health, and although we feel as if we are resting, it is the time our body is doing its most important work. Throughout the day, we accumulate many memories which are stored in a short-term memory bank. During sleep, our minds convert those memories into a long-term memory bank, which is referred to as “consolidation.” When we lack the proper amount of sleep, the consolidation phase is compromised, which can affect our memory. Lack of sleep affects the body medically as well. Research shows it can be a contributing factor to heart disease, cancer, Type 2 diabetes, depression and anxiety. When designing a bedroom, it’s not surprising that blue is a top selection. Studies show it can slow human metabolism and have a calming effect. Men especially love blue and are receptive to designs where it is included. Green can also be used in bedrooms with positive effects for sleep. 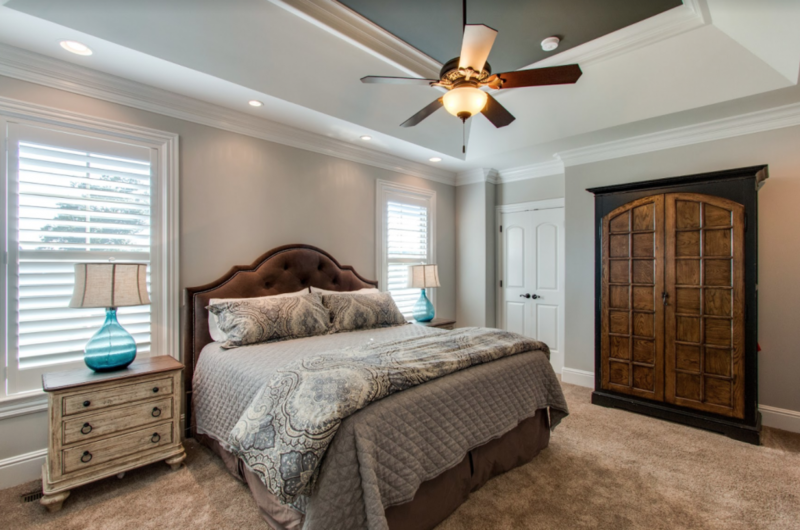 Cool, clean colors in contrast to warm, dirty colors are best for bedrooms — and the key to incorporating any color in the bedroom is with chromaticity and value. Chromaticity is the intensity of a color, while value refers to the lightness or darkness of a color. When designing bedrooms, low chromaticity and low value in a color work best. These are a few examples of colors that would well in a bedroom and be conducive to rest. The correct wall and ceiling application is another factor that can contribute to the restful feel in a space. To learn more about color and my reference to colors as “clean” or “dirty,” email me or follow my blog, The Collected Interior, at Superior-construction-and-design.com. I’ve trained with leading experts in color, earning the certifications of True Colour Expert and Certified Color Expert — and I can’t wait to talk color with you! Tucked deep in the trees on the west side of town, this mid-century jewel remains solemn, perfectly preserved and seemingly untouched by the outside world. The approach to the home navigates through it’s wooded expanse toward what most would assume to be the front of the house. But what is seen as the front was intended to be the rear of the structure when it was built. The main road that now exists in the “front” of this home, although planned, was not constructed at the time. When construction of the road eventually began, the city brought it through at rear of the property, instead of the front, as originally proposed. Yet because of the architecture and design of this home, guests would probably never realize this. However, this is just one of many intriguing facts and stories about this home. 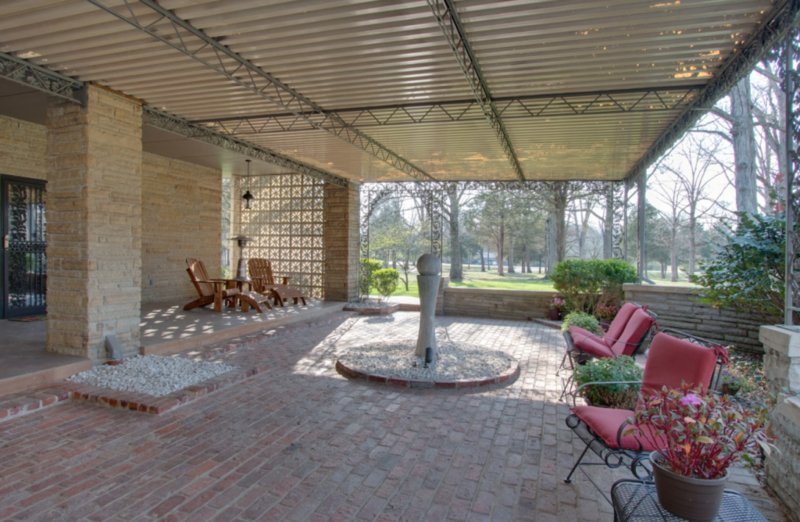 Built by Dr. Charles Thomas Lowe in the mid-1960s, the home is now owned by his grandson, Chuck Lowe (Charles Thomas Lowe, III) and his wife, Dena. Chuck built his own home directly nextdoor to Dr. Lowe when he returned home from college. 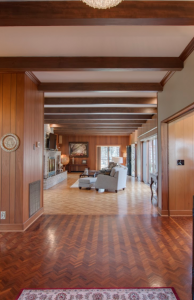 Chuck and Dena now lovingly take care of his grandfather’s home, meticulously protecting a piece of their family history and the former home of one of Lebanon’s most innovative and original personalities. Dr. Lowe was a well-educated man, speaking several languages including German and Spanish. He received his Bachelor of Arts degree from Vanderbilt in 1932 and his medical degree in 1936. As one of the principal physicians in Lebanon, he delivered babies and took care of patients until he sold his practice to Dr. Robert Bone in the mid-1960s. But Dr. Lowe’s interests extended far beyond the city limits of Lebanon, Tenn. His daughter, Betsy, relayed he hated the cold, preferring to spend the winter months in Acapulco and other warmer climates. After marrying his second wife, Ruth, in the early 1960s, they traveled to Israel to visit Ruth’s brother who was stationed there as a missionary. It was on this trip that Dr. Lowe began to formulate the idea for his home. Betsy says he admired the way the houses in Israel were built surrounding an outdoor space. After living in Israel for 18 months, Dr. Lowe and Ruth returned to Lebanon, eager to begin construction. Dr. Lowe’s son, Tommy (Charles Thomas Lowe Jr.) chuckled when asked about the plans or blueprints of the house. Tommy recounted his father had purchased the property, a total of about 175 acres, on two separate occasions as the parcels of property were originally a bottling plant and dairy farm. The structure of the home is comparable to few others. All of the exterior walls are built of concrete block and the interior walls and floors of 12-inch-thick, pre-stressed concrete. The roof is also concrete, which was brought in and set by cranes. Chuck was 12 years old at the time the house was being built, and he says he remembers watching the cranes set the concrete. Because of the substantial framework and density and girth of the structure, it was recognized as one of the area’s only fallout shelters. The Civil Defense used the basement, which was air-tight, to store food rations in case of emergency. The basement has a vent that runs many feet out into the property, and Chuck can remember hearing Ruth and her friends playing bridge in the basement when he would be out in the yard. That’s when Dr. Lowe installed the glass roof to enclose it. 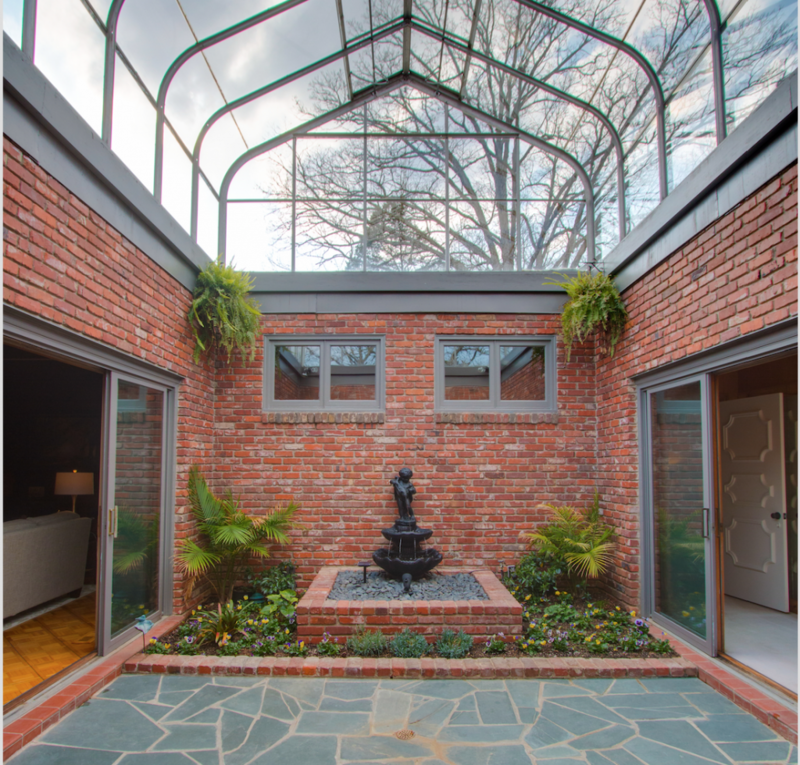 Although more than 50 years old, the motorized atrium glass roof still opens on the right side. Understanding this installation was made in the late 1960s proves how Dr. Lowe was always just a bit ahead of his time. Dr. Lowe and Ruth lived in the home until his passing in January of 2003. Upon his passing, his daughter, Betsy, inherited the home. As she has lived out of state most of her adult life, she sold the home to her brother Tommy, who then made the decision to also sell it. The new owner of the home was transferred after living there eight years, and that is when Chuck and Dena purchased the house. When they acquired it in 2015, the interior of the house had been maintained well by the previous owner, with exception of the basement. But in true Chuck and Dena fashion, they painstakingly restored and repaired every inch of the house. 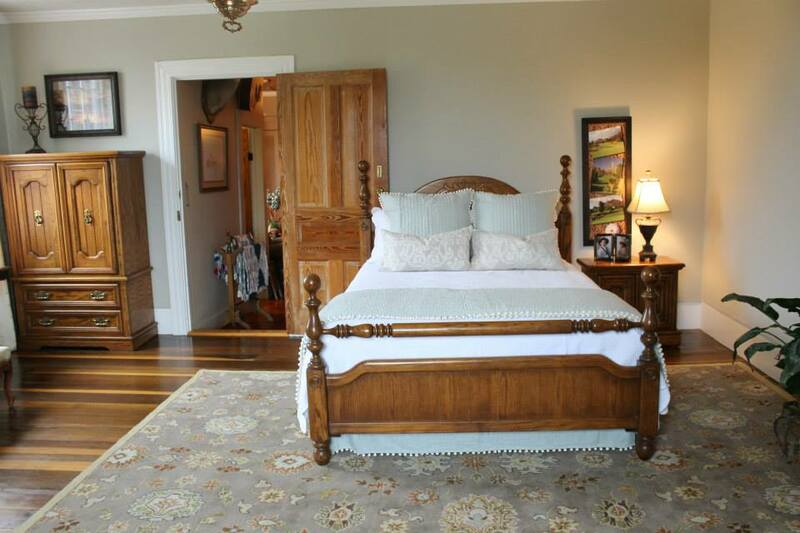 Many of the original interior finishes remain, apart from new carpeting and appliances. Chuck and Dena are grateful to be able to preserve Dr. Lowe’s legacy and share it with their children and grandchildren, as they use the home for extended family gatherings and entertaining. And in the front corner of the main room hangs a large portrait of Dr. Lowe, smiling over them all. This time of year, “for sale” and “open house” signs begin to pop up everywhere. The spring and summer months are always a busy time in the real estate market. Many homeowners are eager to sell and relocate during the summer break. Additionally, properties show better in the natural lighting of longer days and with greener yards. But often, an important step that should be taken by sellers is overlooked. When listing their home, the homeowner must emotionally detach from the home and view it as a house — a marketable asset to be sold. 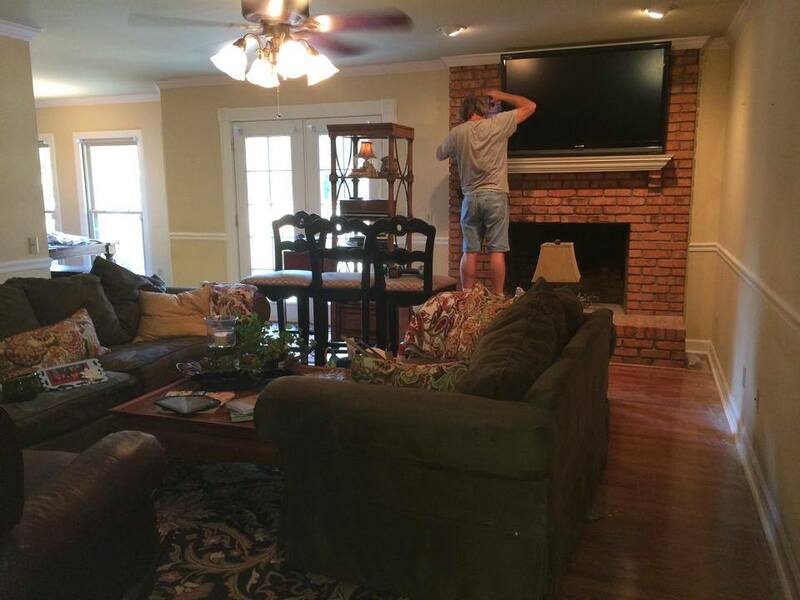 As such, the most important move a seller can make is to properly stage the house. Unfortunately, what is considered a necessity in most parts of the country is sometimes viewed as an extravagance in our area. Any real estate agent will tell you the first couple of weeks on the market are the most crucial time for a property. After that, excitement and momentum begin to wane. The initial buzz has passed, and it becomes increasingly difficult to sell. Some sellers believe they can “try it for a while” on the market, and then stage it later if it hasn’t sold. This “wait and see” mindset rarely works. Buyers have already seen the property online, and no one will come back to a property they have already viewed and marked off their list. Today’s buyers are looking to move up in size, in style and in status. Ninety percent of all real estate searches begin online. Statistics show that by the time a buyer contacts their real estate agent, they typically have a Top 10 list of homes they have selected online to view. And by the time they have reached the sixth home on that list, they have made the first offer. Enlisting the services of a professional real estate stager and a professional photographer will give the property the competitive edge it needs to stand out among the other listings. If the property is not visually appealing online, the buyer will never set foot in the house for a showing. The stager’s job is to accentuate the positives of the property and deflect from any perceived negatives it may have — as in small room size, an awkward floorplan or poor natural lighting. When selling a property, it is not about the décor in the home. The stager is not trying to sell the homeowner’s taste in design; but to stage the house to appeal to the widest audience possible. Professional real estate stagers have been trained to assess what features should be highlighted, what features need to be minimized and how to accomplish that. Therefore, if the overall decor of the home is very taste-specific, a professional stager will edit it drastically. It’s not about the homeowner’s design preferences, it’s about selling the property. Today’s buyer wants a move-in ready home that appears magazine worthy in online photos. They’re just not that into your design. When a potential buyer views a property, they spend an average of SIX minutes in the house- and form their opinion in the first fifteen seconds! This statistic still gets me every time I read it, but substantiates even further the need for professional staging. First impressions (good of bad) once established are incredibly difficult to adjust to the reality of additional information. In other words, you never get a second chance to make a first impression. Therefore, the exterior, the entrance, and foyer are very important — they frame the buyer’s interpretations of what’s to follow. Homeowners often have the wrong impression of what professional staging is; assuming it is to only sell the property, and reasoning that staging is not needed because houses are selling faster than they can be listed. But while selling the property is the goal, selling for a higher price point as quickly as possible is the specific goal. Professionally staged homes sell in one-fourth of the time, and staging costs less than the extra mortgage payment(s) incurred due to longer listing time. Staged properties sell for 6-17% more than non-staged properties. Agents are more enthusiastic to show move-in ready property to their clients. 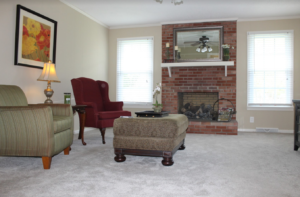 Staging reduces issues used for price negotiation. The two photos above are from a house we speed staged in Lebanon last year. 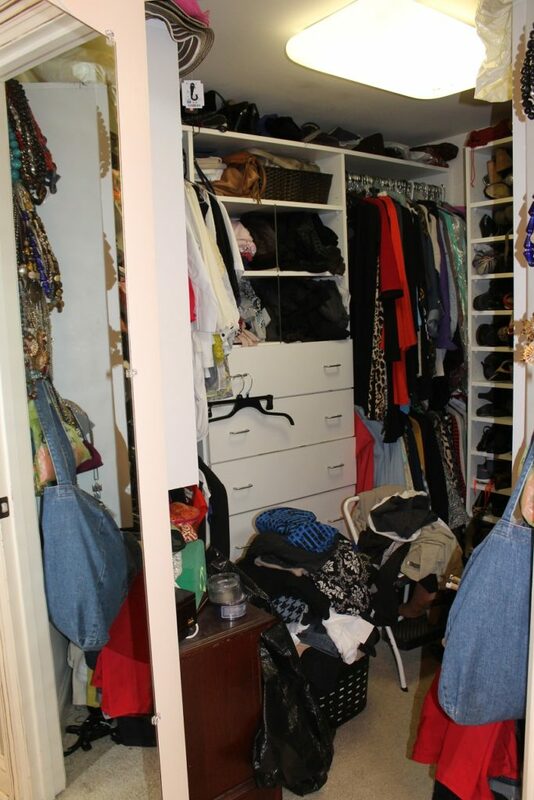 Imagine you are a buyer scrolling through listings online — would you choose to view this property seeing the before photo or the after photo? In my client’s home, these bookcases are three units wide and go to the ceiling- we had a lot of space to fill. By going to thrift stores and libraries, we were able to find enough used books for the large space. Then we were able to fill in with some of her family mementos and photos. 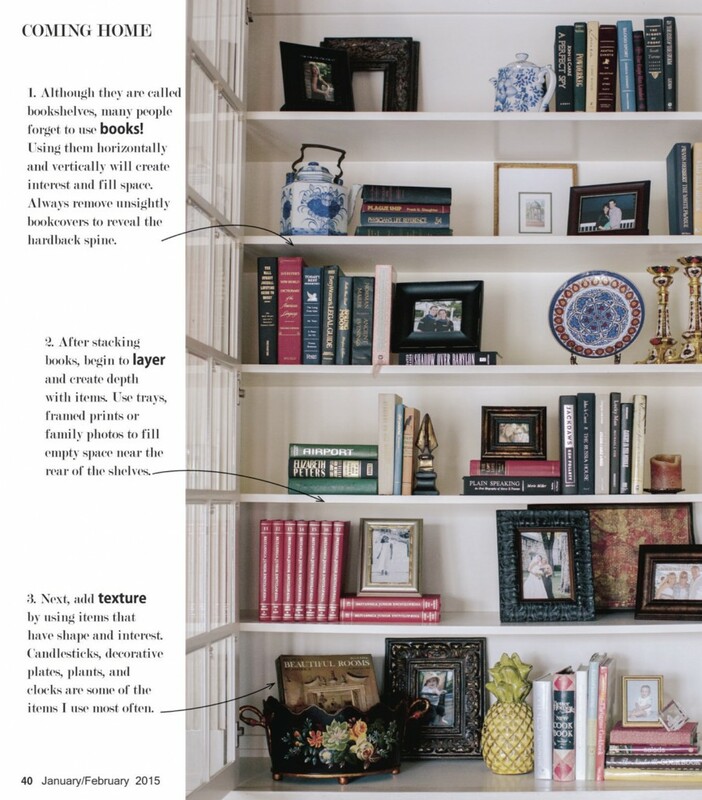 Following these three steps each time, you will be able to style your shelves with ease. One of the favorite parts of my job is to choose a paint color scheme for someone- just gets my juices flowing. 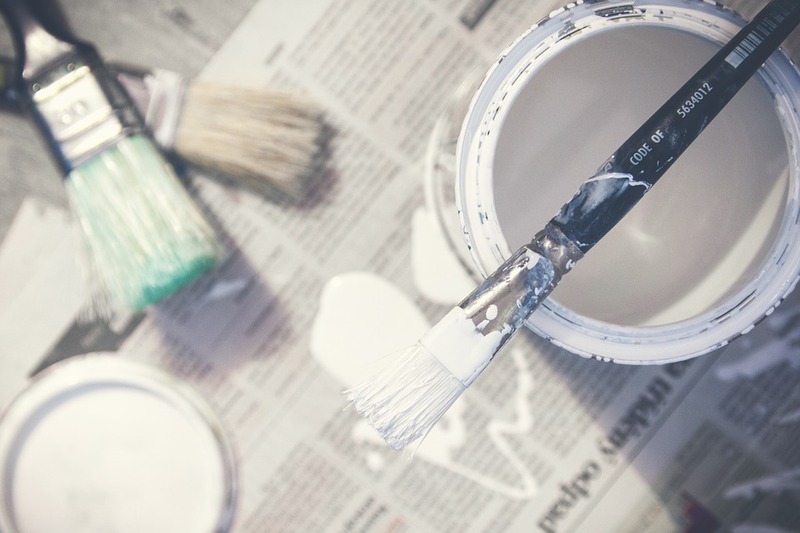 But there is a whole lot more to choosing a paint color than just picking something that looks pretty. You must choose colors that have the correct undertone to work with the “fixed” elements of a room. And it must work with those elements in all lighting. Morning light and afternoon light are completely different. There’s a word for that. But I”ll save that for another post. 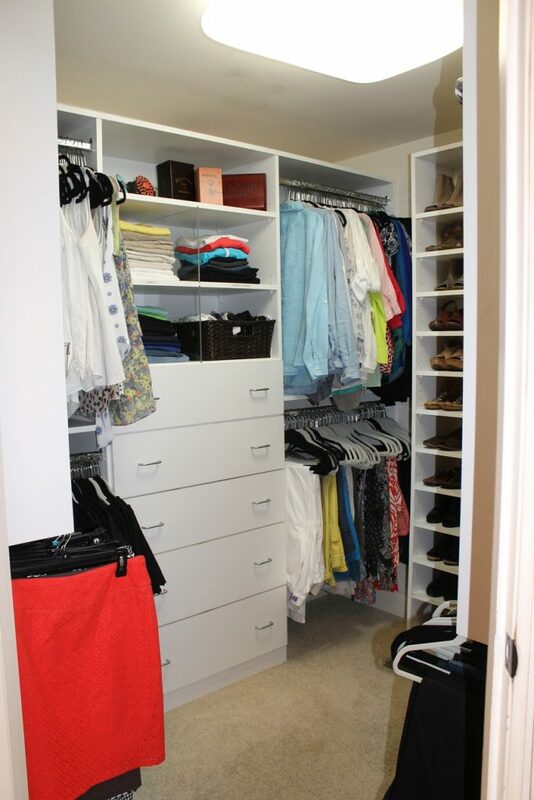 Have you ever gone to a friend’s home and gasped, “Oh my gosh!! I LOOOOVVVEEEE that color!!! It would be perfect for my bedroom!!! What is it?? ?” Your BFF says, “I know, right?? It’s Brazillian Bark from XYZ Paint Company– you simply must try it!” So off you go to XYZ Paint Company and promptly buy 5 gallons of Brazillian Bark and can’t get home fast enough to slap it on your walls. You get it on your walls. And you think you’re gonna be sick. I mean, like really, really sick. Not only because you just paid 69.99 per gallon for this fabulous new color, but because every time you look at your walls, you literally feel nauesous. That Brazillian Bark didn’t work with the undertone in your floor, or your ceiling, or some architechtural detail. These items are the “fixed” items in your room. Items that won’t change. See if you can tell what I mean. This color is actually competing with the floors. Your eye doesn’t know where to go first. After- the new color brings out the beauty in the floors and the wood. You don’t notice the paint color, but the beutiful flooring and casings in the room. So next time you’re told, “This is the hottest new color- you gotta try it!”- make sure it works with the elements of your room first. If you’re not sure, give me a call! Last post, I promised to give you some “behind the scenes shots” of our column’s photo shoot for the September/ October issue. We styled three beautiful fall tables and I wanted to share them with you in a bit more detail. My photos are too large to post to the blog….and with computer technology NOT being my strong suit, I am unable to resize them correctly. As soon as I’m able to do that, I will post them. I never get to complete things in my own home, but it had really gotten past time for new paint. 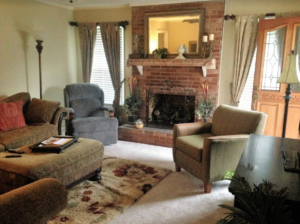 Along with the walls, ceiling, and trim, I wanted to paint my brick fireplace and hearth. Just ask him next time you see him about the morning he woke up and there was a hole in the roof. A BIG hole. We REALLY needed some dormer windows. So- I decided to paint the brick after long thought. I also carried the color over to my french doors. It helps define the space better, and lets you know that they are part of this room, and not the kitchen. That’s the beauty of paint. A huge difference for a small cost. And if you tire of it, it’s easy to change. Be sure to follow us on Facebook, Twitter, Pinterest, and Houzz! We are beginning our blog postings again, and I’m tickled pink! This is just a short post to say hello, and welcome back. I’m so glad you found your way here! My business, Superior Construction and Design, is located here in Lebanon. My projects range from organizing a kitchen cabinet all the way up to building your dream home, and anything in between. So send me your questions! Have a decorating dilemma? Unsure of a paint color? Have a building question? Send it on…. Who knows? I may just pick your issue to come over and take a look at and blog about! You can email me at esbsms@aol.com, or post your question in the comment section below. Oh and don’t forget to subscribe to the blog so you don’t miss anything! Below is the cover of the last issue of the magazine. 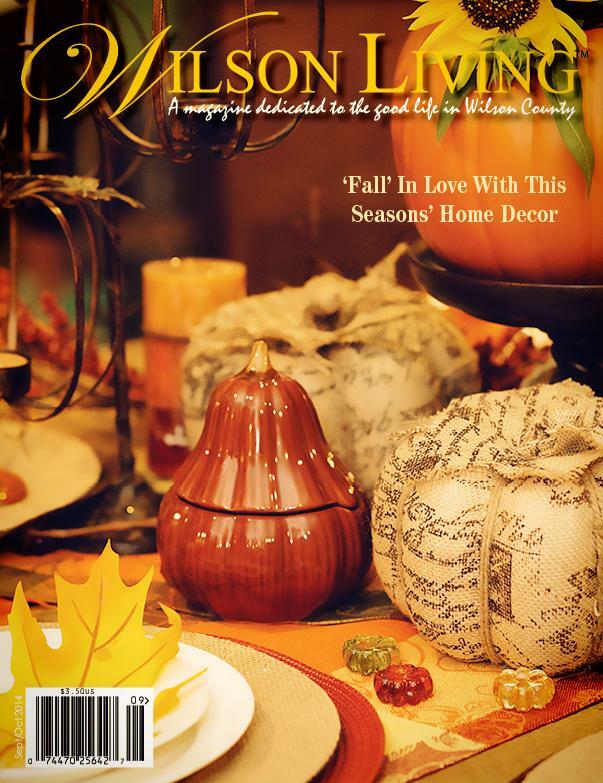 We had so much fun creating the tablescapes for this issue. Later this week I will post some pics of the full shots of the tables not shown in the magazine….. some “behind the scenes” shots! Again, welcome back….and thanks for Coming Home!